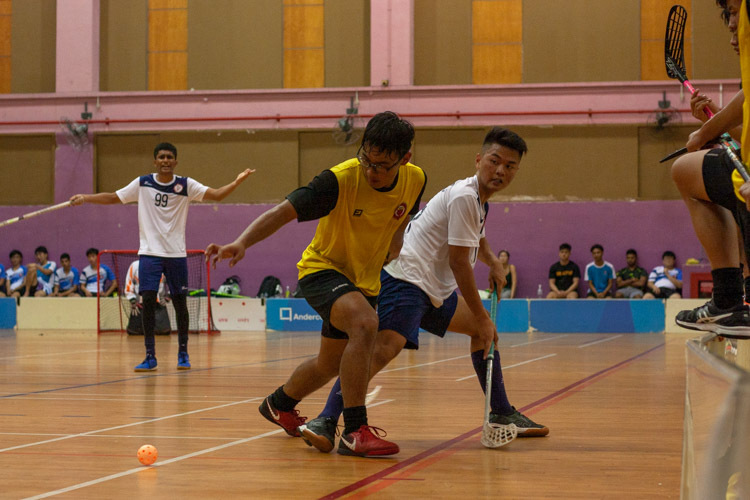 Kallang Practice Track, Wednesday, January 16, 2019 — In the highly-anticipated men’s 1,500 metres at the Institute-Varsity-Polytechnic (IVP) Track and Field Championships, Karthic Harish Ragupathy of the Singapore University of Technology and Design (SUTD) emerged as the clear winner in a tactical race. It saw him clock a timing of only 4 minutes and 26.37 seconds, almost 20 seconds slower than his personal best of 4:07.25, set last December at the ASEAN University Games in Myanmar. 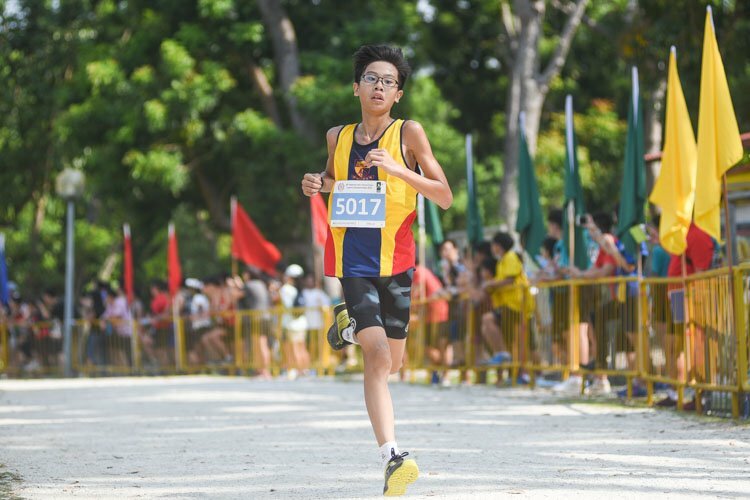 Jasper Tan of the Nanyang Technological University (NTU) led the pack through the first 300 metres in a pedestrian 56 seconds. 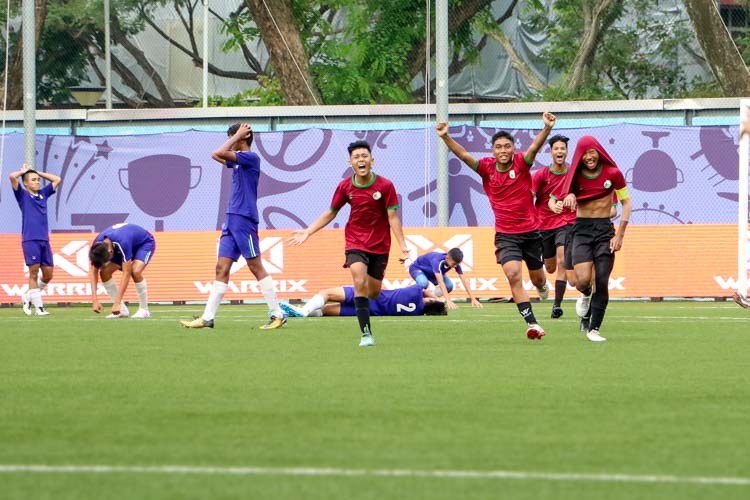 Meanwhile, the race favourites — Karthic, reigning POL-ITE 1500m champion Kiran Raj S/O Suresh of Republic Polytechnic (RP), and Tok Yin Pin of the National University of Singapore (NUS) — showed no interest in taking the lead or pushing the pace. 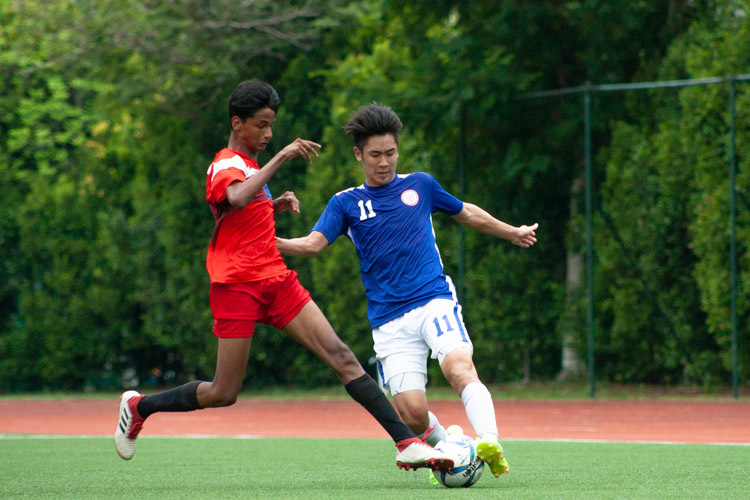 The following lap was even slower, with Karthic’s SUTD teammate Jack Ng taking over the lead to carry the pack to a 77-second lap. “Even my pace at Saturday’s 5K was probably faster than that,” Karthic said, referring to his second placing in the men’s 5000m where he clocked a timing of 16:21.33. The entire race worked out perfectly for Karthic. Given how the race developed in the first two laps, no one expected the status quo to be challenged before the last lap of 400 metres. But with 600m to go, Karthic shocked the field with a sudden acceleration that saw him break clear of the pack in a matter of seconds. It was a lead he would maintain until the end of the race, with only Yin Pin making an attempt to catch up. “Coming into the race I was thinking to move at either the final 700 or 600 metres,” Karthic explained. Karthic’s dominance in the 1500m event might be a surprise to some. 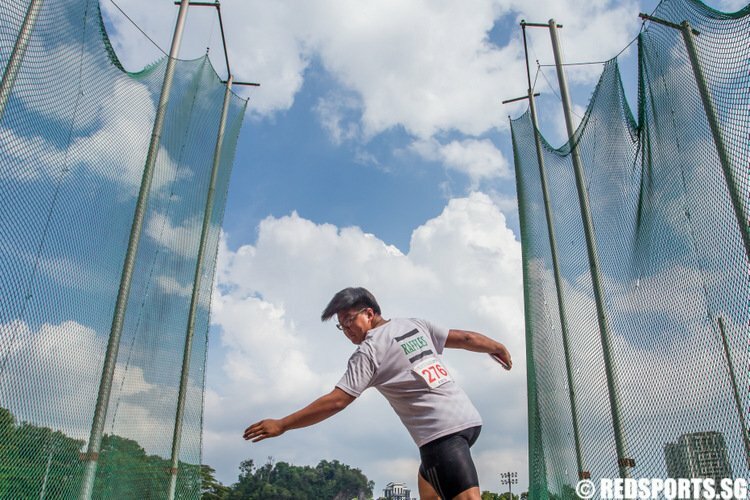 Throughout his secondary school and junior college days, he was known for his achievements in the long distance events, such as the 5000m and Cross Country races. Middle-distance events such as the 1500m had never appeared to be his specialty. Karthic elaborated that his attempt at the shorter distance was quite by chance. While Karthic was moving down from the longer distances, runner-up Yin Pin had taken a step up from his pet event, the 800m. Thus when the race started out so slow, he knew conditions were in his favour as he only had to wait till the last lap to unleash his speed. Wisely running on the outside of lane 1 to avoid being boxed in, Yin Pin appeared in a good position to challenge for the win. However, the early move by Karthic took Yin Pin completely by surprise. Though he responded quickly, it still proved too late as Karthic had already opened up a gap of 10 to 20 metres, which Yin Pin failed to close. 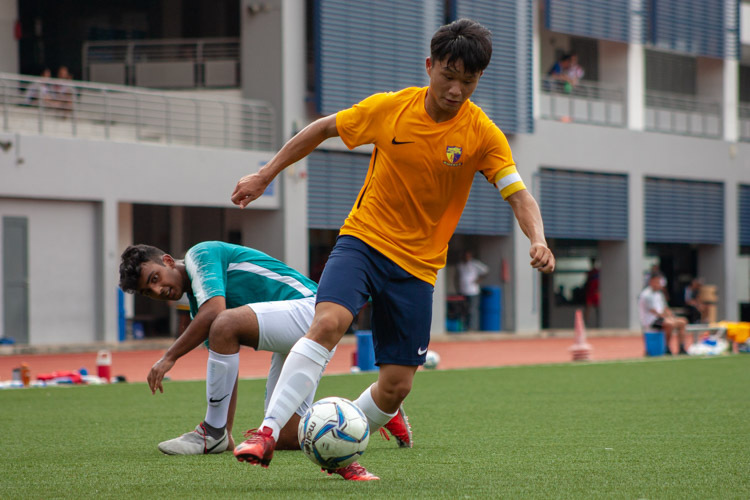 “It took me a while to come to my senses and realise that he was moving off, because I thought 600 metres was still quite a long way to go to make a surge,” Yin Pin explained. Nonetheless, Yin Pin felt that with his training and background as an 800m runner, his final lap should have been faster. 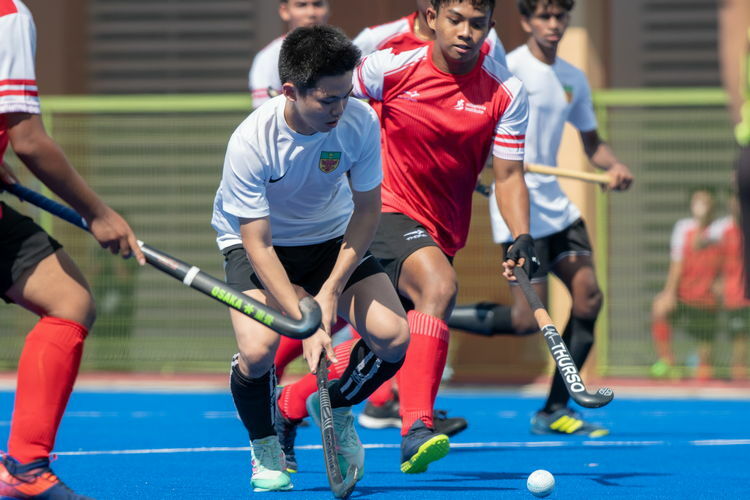 Behind Yin Pin, SUTD’s Jack Ng tried to keep up but faded in the final stretch and was overtaken by RP’s Kiran, who took bronze with a timing of 4:32.98. 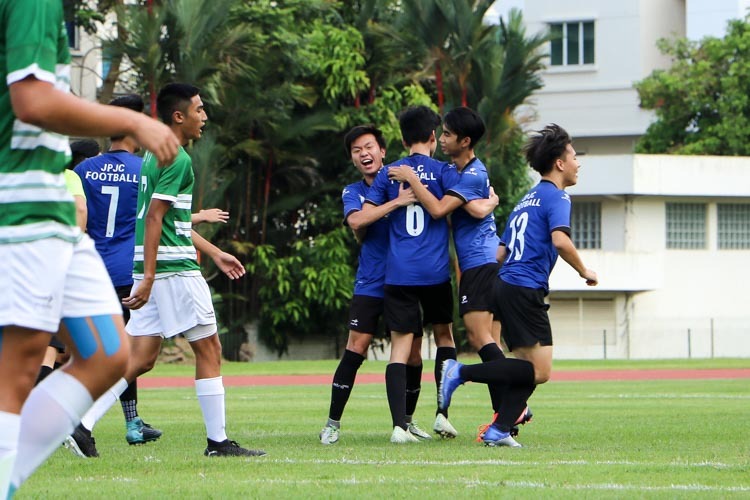 Karthic takes pride in the fact that his school, SUTD — traditionally a non-powerhouse in track and field — now has an IVP victory. 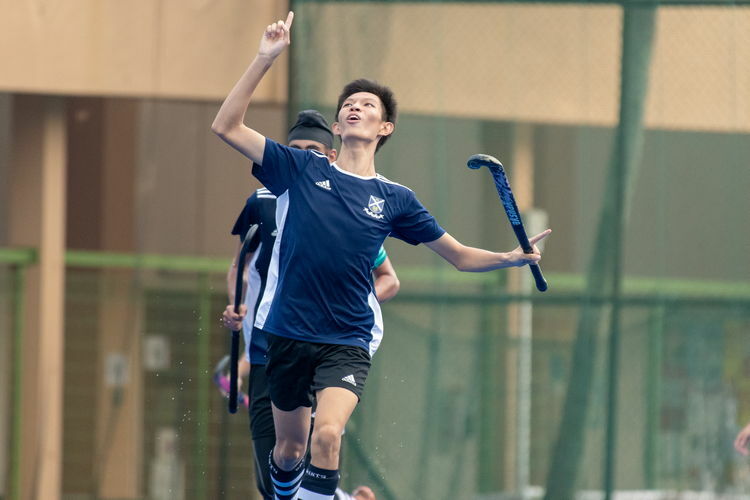 “My school, I think, has never gotten a gold medal, so I feel really, really proud to be able to win something for them,” he said. While the 1500m proved to be highly dramatic, the men’s 10,000m went mostly according to script as Nabin Parajuli of the Singapore Institute of Management (SIM) broke off from the pack early to comfortably claim victory with a timing of 33:59.52. Nabin, who also won the 5000m last Saturday, clocked consistent 82-second laps to lap every single competitor in the field at least once. Burton He, also of SIM, made it a 1-2 for the team by finishing second with a time of 35:27.66. Shohib Marican of NUS took the last spot on the podium with 35:54.14. 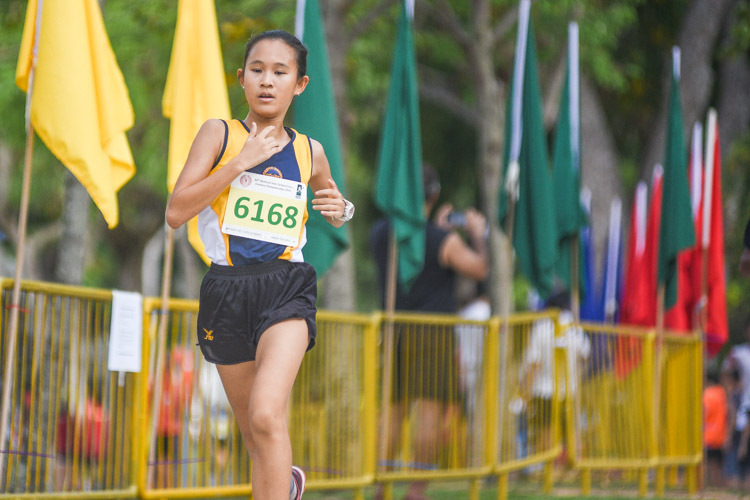 The women’s 10,000m race saw Lok Xin Ying of NUS pull off a dominant performance to finish almost six minutes ahead of her nearest rival, NTU’s Joanna McFarland. 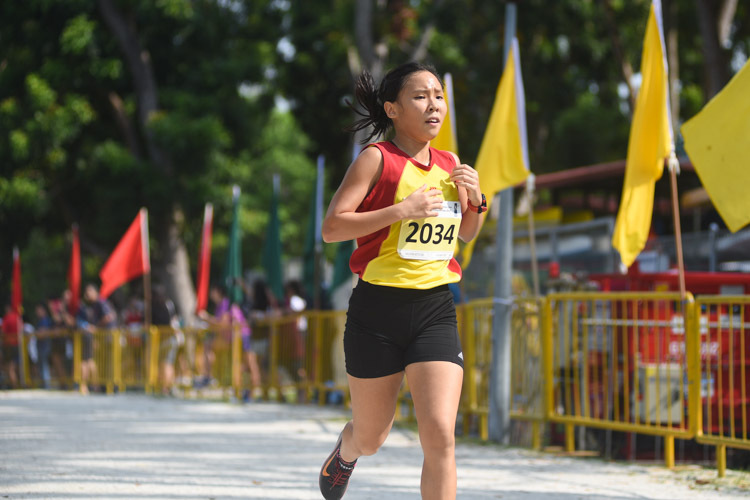 Right from the start, Xin Ying broke away from her competitors and within the first kilometre had already built up at least a 100-metre lead. Karthic will be racing the men’s 3000m steeplechase on Saturday, January 19, where he will face defending champion Nabin Parajuli, who also holds the IVP record in the event. However, Karthic was quick to dismiss any notion of challenging Nabin. “I haven’t trained for the steeplechase for the past one year so I’ll just see how it goes. I don’t think I’d be able to give Nabin much of a fight for now — he’s much more qualified in the event,” said Karthic. 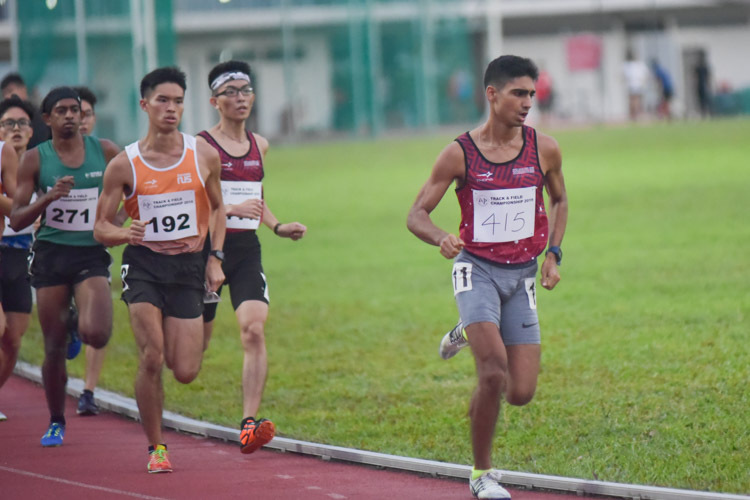 On the same day, Yin Pin will be racing the men’s 800m in one of two timed finals, which will also feature 2018 IVP 800m and 1500m champion Zachary Ryan Devaraj, also of NUS.